made with all natural oils including tea tree, coriander and sea salts – 10 oz. soak both feet twice weekly. 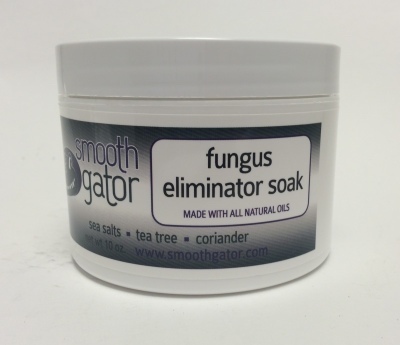 use two teaspoons of contents in enough warm water to cover toes – use for 10-12 weeks – for best results, use with fungus eliminator solution. sea salts, coconut oil, orange oil, lavender oil, tea tree oil, oregano oil, coriander oil, and thyme oil. Many of our customers like to purchase our products by the case. Please visit the Contact Us page and complete the online form if you're interested too.